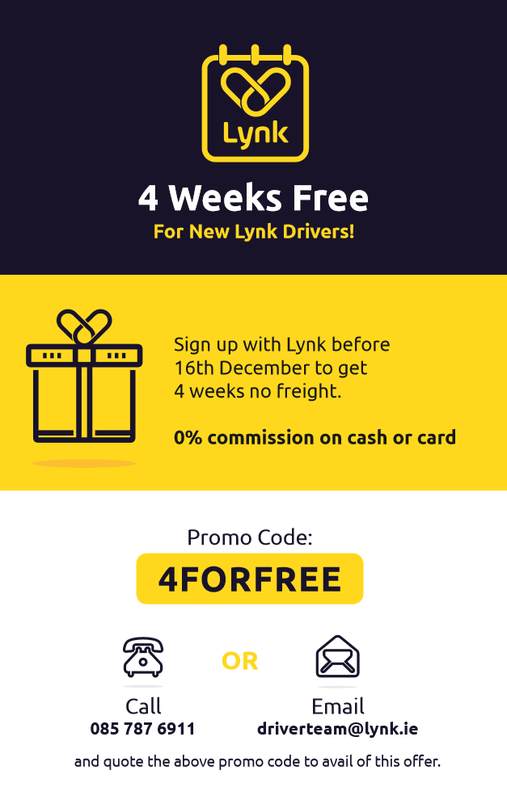 4 WEEKS FREE For New Lynk Drivers! Join Lynk now and pay no rent/freight for the first 4 weeks. Perfect on the lead up to Christmas!! New Drivers or Ex-Driver of at least 2 months. If accepting corporate bookings, driver must wear uniform.